Rockland Journal NewsUp to four apartment units were 'destroyed,' while a few others suffered smoke and fire damage. A fire that ripped through a two-story apartment complex in Spring Valley Saturday afternoon is being considered "suspicious," officials said. The flames began around 3:30 p.m. in the bedroom of a first-floor apartment at 59 Robert Pitt Drive, said Spring Valley Fire Chief Bob Johnson. The fire then spread to the neighboring units in the complex, he said. 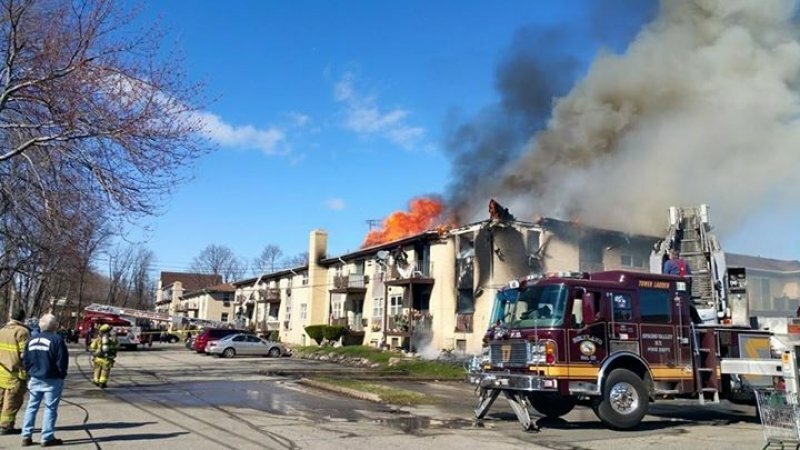 Around 100 firefighters responded to the complex to combat the flames, including those from Spring Valley, Monsey, Hillcrest, Tallman and South Spring Valley, Johnson said. The fire was under control in about an hour, Johnson said. Up to four apartment units were "destroyed," Johnson said, while a few others suffered smoke and fire damage. Residents living in 48 units were evacuated, Johnson said. The Red Cross is helping displaced residents at the Spring Valley police station, he added. There were no injuries, Johnson said. Abigail Adams, regional communications officer for the Red Cross, said seven volunteers working at the scene have registered at least 31 people seeking aid, but "we expect that number to change." The fire appears to be "suspicious," Johnson said, and remains under investigation. Spring Valley police said that detectives are investigating. Gordon Wren Jr., the county's fire and emergency services coordinator, said strong winds helped the flames spread rapidly, but that firefighters did a good job containing the flames. 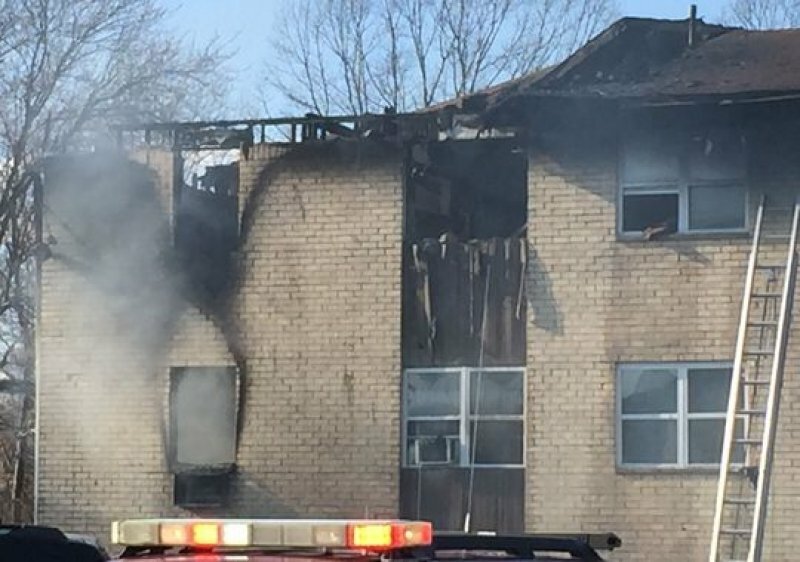 It is unclear if there were smoke detectors in the apartment where the fire started, officials said, or if any building violations affected the fire. An illegal bedroom was found in one of the units that was damaged, they said.